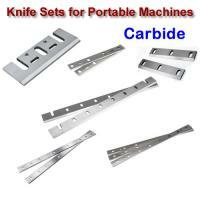 Set of 3 Carbide Knives (SINGLE EDGE ONLY!). These knives are also available in HSS for $38.95. Ple..